Just downloaded and installed the newest TrinusPSVR and NOLOVR Windows drivers. PSVR is working as intended and SteamVR sees the Nolo base station and HMD tracker tracks fine but states the controllers are connected but not being tracked. The controllers at first blink on the steamVR status panel but after a while they grey out even though they are still powered on. Thing is the menu and system buttons work the centering and 180 turnaround but that is it. They do this no matter what status is shown on the SteamVR status panel but they do not interact with SteamVR in any other way. I also use iVRy with my iphone and Nolo within SteamVR and Nolo works fine with that set up. Firstly, please turn on all NOLO devices and plug in ONLY the headset marker to PC. We would like to make sure - i) the LED on each NOLO device, ii) the status of the connection status from NOLO driver and iii) the performance of the devices in the Visualizer from NOLO driver. The problem I have just might be being caused by the iVRy driver with NoloVR support built-in being installed in steamVR while trying to run the Windows NoloVR software. I will try running it after uninstalling the iVRy Driver and see if that helps. @dlgonzo Please send me the vrserver.txt file so I can see if this is an issue I need to look at. I have the exact same problem. Did the support team ever resolve this issue? 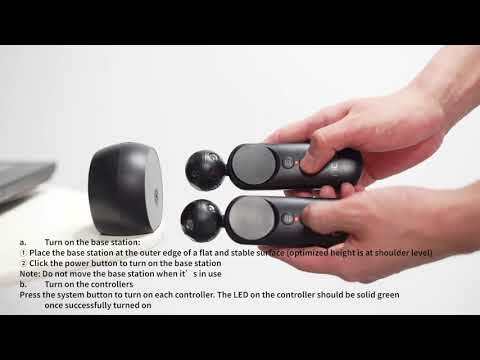 @Seether00 Here is the tutorial of how to set up PSVR with NOLO CV1. I have already followed those directions repeatedly and in proper order. In the Visualizer I can see the controllers. In steam VR they do not appear at all.